Develop new resources and activities. 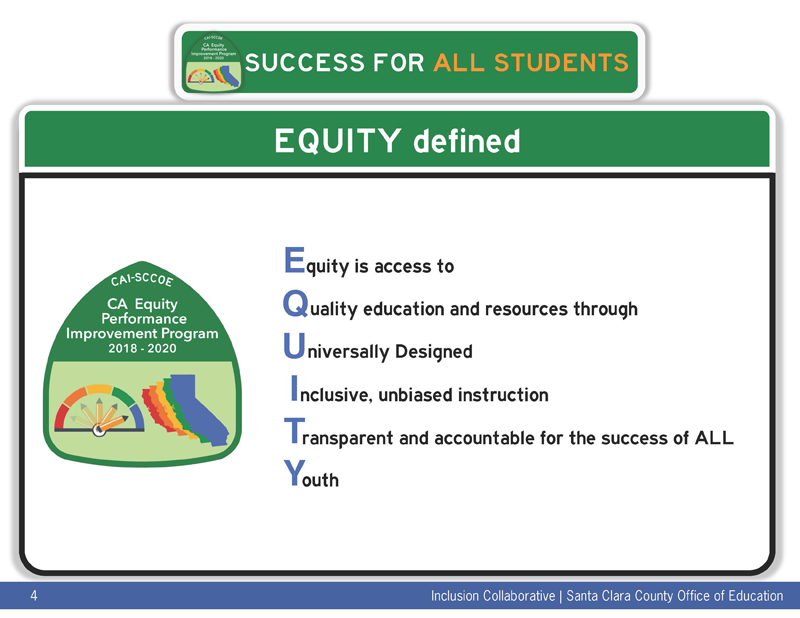 Disseminate information on effective equity practices. Develop and provide trainings, conferences, and workshops.